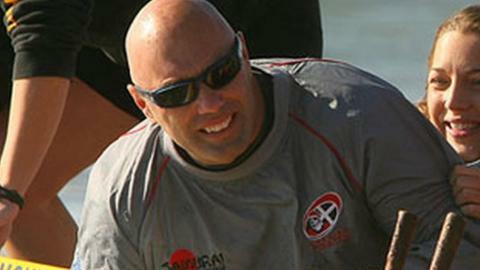 Redruth have named former Cornish Pirates team manager Adrian Edwards as their new head coach for next season. Edwards replaces director of rugby Dave Penberthy, who stands down at the end of the season. He has been strength and conditioning coach at Redruth in the past and has been involved with Hayle this season. "He's a great organiser and we're looking forward now to a bit of freshness that he can bring us," Redruth secretary Roger Watson said. "He's well known through out the county, he had a spell with the Pirates and had a spell with us previously as team manager. "He's been very keen to come back and join us, he's a great organiser and we're looking forward now to a bit of freshness that he can bring us," Watson added exclusively to BBC Radio Cornwall. Edwards resigned as Pirates manager in January 2008 having been the Penzance-based club for almost a decade. And Watson says he is hopeful that Edwards' skills will be suited to the National Two South club. "When he was with us before, he had the boys more fit for rugby than they've been at any other time. "The next task is to put a good coaching team around him." Watson said one of Edwards' priorities will be to increase the opportunities for players outside the first team squad. "We've lost a lot of players this season through not being able to offer them regular second team rugby. "Obviously the first team is the flagship and success in the league is vital for the club, but we do want to make sure that we can establish regular second team rugby at the club so we can get some strength in depth." Edwards will start work on 1 April with the aim of putting together a squad for the 2012-13 season. "The current coaching team will see things through until the end of the season," Watson said. "But for April we want Adrian and any other coaches we've appointed by then to work in tandem, so they get to know the players and start the recruitment process before players disperse for the summer."